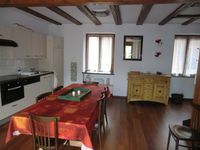 Property 54: Holiday apartment in Muhlbach (Munster valley), housing 2 to 4 people. NEW - Charming cottage in the heart of Colmar - 4 people 60m2 - Hyper Centre! Property 55: NEW - Charming cottage in the heart of Colmar - 4 people 60m2 - Hyper Centre! Property 81: Between KAYSERSBERG * elected favorite village of the French in 2017 * and RIQUEWIHR. Property 84: GÎTE "IN SCHOENENBOURG"
3 bedroom apartment for 6 pers. in the center of Colmar - Street pedestrian. Property 88: 3 bedroom apartment for 6 pers. in the center of Colmar - Street pedestrian. 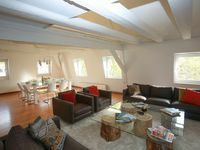 Between sweetness and delicacy, 4 * apartment in the heart of Colmar. Property 90: Between sweetness and delicacy, 4 * apartment in the heart of Colmar. Apartment in the heart of a vineyard in the center of Colmar. Property 92: Apartment in the heart of a vineyard in the center of Colmar. Electric bicycles included in the price. Property 98: Electric bicycles included in the price. Apartment with large terrace, panoramic view, 3 bedrooms, 2-8 pers. Property 99: Apartment with large terrace, panoramic view, 3 bedrooms, 2-8 pers. Great walkable location, bright, cheerful and well tended space ... a perfect stay in every way! Right in the centre, spacious and bright apartment, great service (prompt response, we could check in earlier/check out later), adequate for families maybe provide room fragrancechange carpet.